In the wake of the Indian government’s decision to demonetise currency notes of Rs 500 and Rs 1,000 from the market, and ensuing restrictions on withdrawing money from banks, the common man has had to grapple with considerable liquidity challenges. More than three weeks since the announcement, those primarily using cash as trading currency are still facing a crunch. 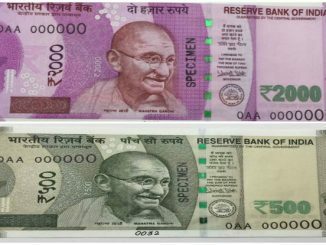 ATM queues, paucity of lower denomination notes, confusion over exchange and withdrawal policies linger. For a citizenry used to working with cash, this appears as an insurmountable hurdle. They are just at their wits’ end. The government, however, has been pitching for using this move as an opportunity to transition to a cashless economy. There have been arguments both for and against reducing India’s dependence on cash, but while the issue has suddenly come under focus anew with the demonetisation move, the fact is that successive governments have been introducing measures to move India towards cash alternatives for quite some time now. We might have observed that small change has literally disappeared from our lives. We routinely accept toffees in lieu of change for years now. Urban citizens often buy unnecessarily to round off purchases. These slow, invisible changes pushed many people to start using plastic currency as an alternative. The change, however, was not complete and that is perhaps the reason for the push. Banks have given debit and credit cards to almost all their literate customers. That is a default transaction alternative all of us carry in our pockets in the cities today. All large traders use and accept these cards. The disadvantages are that there is a transaction tax when you use most cards. Besides, small traders don’t have this facility. RBI invested in the Rupay platform to remove or reduce the transaction tax. If a seller asks the bank for a Rupay card, instead of VISA or Mastercard, the transaction cost will be less for most transactions. There is no need for even a phone for use of these cards. There are also new technology products for small and medium businesses, such as multilingual mobile-based point of sales apps that can enable the smartphone to act as a card swiping machine. ePaisa, Mswipe etc are some of the providers of these services. 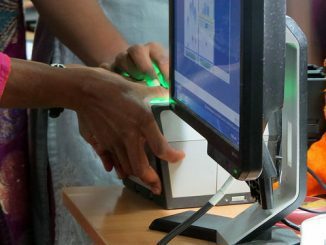 The government has introduced another service called “IMPS” or Immediate Payment Service. This is available through the mobile banking apps. NEFT transactions are processed in batches and take time but IMPS will transfer money immediately. If you shop regularly with a few shops, and the shopkeeper trusts you and shares his account number with you, then you can pay through IMPS on your banking mobile. All you need is a PC or a smartphone to complete these transactions. There is no extra cost involved to use this facility. The shopkeeper gets an SMS even as you are standing there and the effect is like paying cash. All your service vendors like your maid, driver, dhobi, security guard, vegetable seller, bakery, auto-wallah, gas delivery and building owner can be paid through this mode, if they have an account. If they don’t have an account, they have a right to get a no–frills account in any nationalized bank under Jan Dhan Yojana. Most people in the unorganized sector trade in substantial cash. For historical reasons, they don’t step into banks. These people disenfranchise themselves for organized credit and for other financial services available today. Many of them live in perpetual debt since they borrow at high rates from unorganized sector and they stand to benefit substantially if they opt to route their money through banks. There are a large number of people in our country who have no smartphones but only basic GSM cell phones. The government has introduced a service called *99#. Any person with an account in a nationalised bank or any large private bank can access this service. They have to register for this service with the bank and obtain a special password. Once that is done, they can call the toll-free call centre number *99# and send or receive money to anyone in India using the password and menu option. Even an uneducated person with knowledge of numbers and a little common sense can use this facility and transfer funds immediately. Money transfer is instantaneous and there is no extra cost involved to use this facility. Incidentally, government departments presently use a modified *99*99# facility to transfer all subsidies to our accounts. MNREGA, LPG subsidies etc. are currently using this facility. This is just a small example to show that the facility is scalable and easy to use. A popular method of cashless payments and receipt is the use of e-Wallets.There are a large number of wallets available. PayTM, MobiKwik, PayUMoney, Oxigen are some service providers with license to operate wallets. People with smartphones & cameras can operate these wallets. Further details are shared here. The government has also issued licenses to 11 payment banks to provide a similar online wallet facility to people. Money kept in wallets of private entities like PayUMoney or Oxigen doesn’t fetch interest but wallets run by payment bank accounts can fetch you interest. SBI has its own wallet service, called Buddy while ICICI Bank has Pocket and HDFC Bank Ltd has PayZapp. The current limitation of a payment bank is that they can mostly transfer funds to other customers of the same bank. This may however change shortly, since they are encouraged to use the UPI framework as below. Most banks now provide a facility called the UPI or Unified Payments Interface. You have to download an app that is currently available on Android phones and will shortly be available on all phones. To avail this, you have to register with your bank and get a unique ID very similar to an email ID [example: name@icicb]. Anyone can transfer money even without knowing your bank information. The transfer is immediate and any amount is permissible. There are no additional charges for transactions executed through this app. In addition to all the above, there are pre-paid cards like ITzCash or food vouchers like Sodexo and Zeta Meal and options to buy these online if you can’t get to your cash. One of the fears that people have about digital transactions is over the security of their money. The government and banks have invested substantially to safeguard the money transacted. 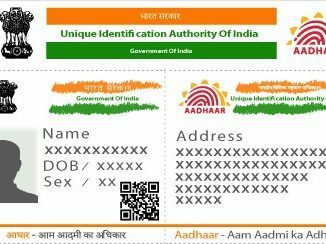 The Aadhaar interface enhances security when the UID is linked. In any online system, it is easy to trace security violations and cash trail, which is not possible with cash. The second fear that people have is linked to their phones. Many fear that they would lose their savings of a lifetime if their phone is lost or stolen. There is a minimum of three levels of security for all these apps. The applications are server-driven and data does not reside on the phones. There is no fear that any unknown robber will be able to access our accounts if they can lay their hands on our phones. The government has invested substantial public money to create significant cash alternatives and smart infrastructure. But these have not been advertised and the public at large are ignorant. More effort needs to be invested in disseminating this information and guidance for usage. Honest people, from all stations of life, will then realize that these technology innovations are better alternatives to cash. 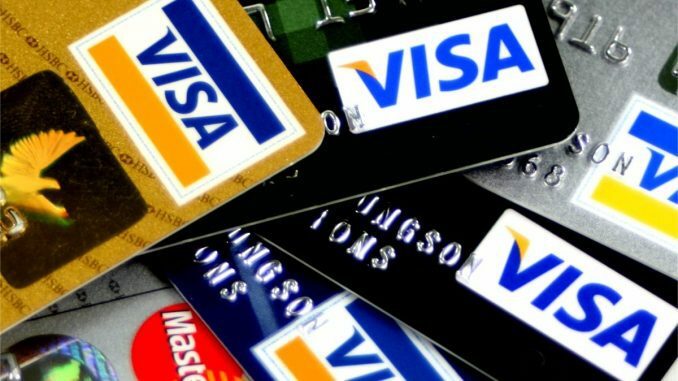 There are charges for credit cards, since they are powered by private companies. There are no charges for debit card, IMPS and UPI services, since they all come under regular banking scheme. There are two kinds of wallets – private wallets may charge a service fee, but wallets driven by banks / payment banks don’t charge.